I can't believe this guild had been around for 2 years now! 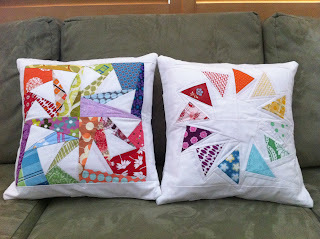 Latifah and Alissa just decided to gather a few quilters and start meeting up. How cool is that!!! 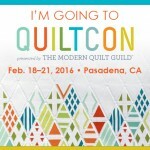 There are now over 200 modern guilds all over the world. That just blows my mind! In celebrating the anniversary, we always have an annual swap. 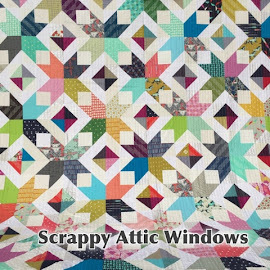 Each participant has to bring in a bag of scraps and your partner can only use one print from their stash. I participated last year and it was so fun that I decided to do it again this year. I got Rhonda. She eats lunch at her desk everyday so she asked for something that would show others that she's "at lunch". 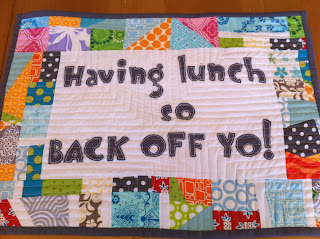 Her exact words were "something to show that I'm having lunch, so back off, YO! So, here's what I made for her. 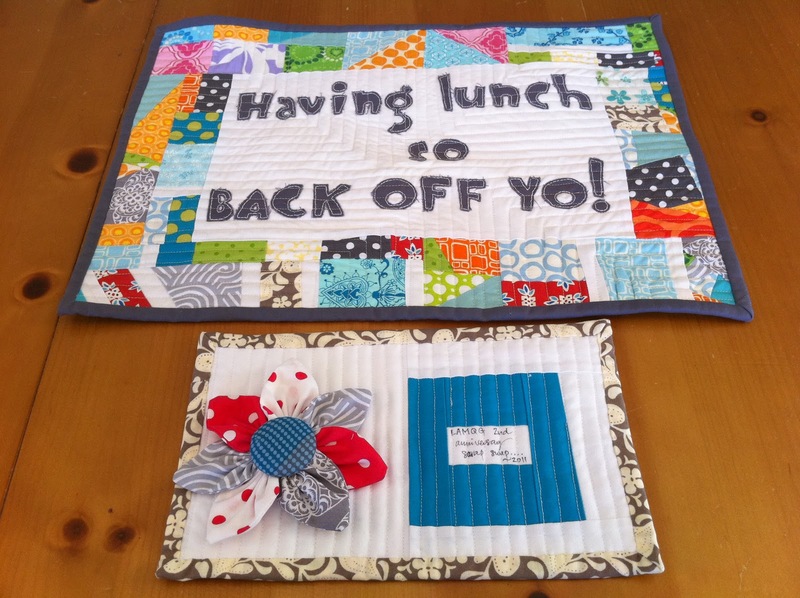 A placemat, a mug rug and a hair pin for her daughter. 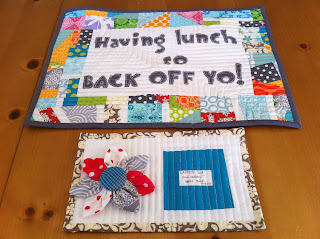 Here's the back of the placemat and mug rug. Here's what I got from Vanesa! 2 Circle of Geese Pillows! Thanks again, Vanesa! They are a lovely addition to my home. So glad you liked the pillows!